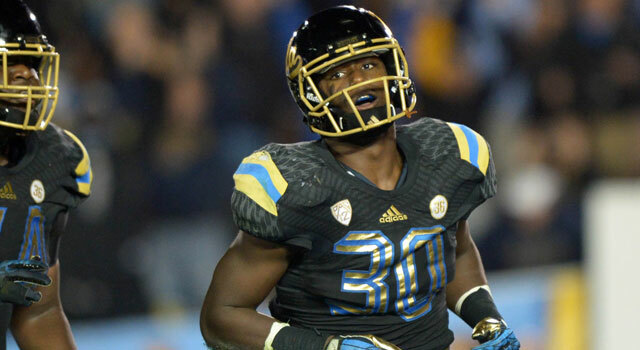 Published: Nov. 22, 2013 at 03:46 p.m.
Myles Jack starred as a linebacker and running back in high school and has kept it going as a freshman at UCLA. Someone asked me recently what I thought about Myles Jack, UCLA's star freshman who has been creating a buzz because of what he's achieved as both a linebacker and running back this season. "It's a pretty interesting thing, isn't it?" I was asked. "No, I don't think it's interesting," I said. "I think it's unbelievable." 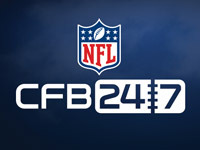 I could come up with only four other names over a period of about 30 years for players who have played well on both offense and defense at the college level: Stanford's Owen Marecic; Michigan's Charles Woodson; Purdue's Rod Woodson; and Purdue's Leroy Keyes. Of the four, only Marecic played a defensive position that was as taxing as linebacker, Jack's primary position -- the other three were defensive backs. But what's especially remarkable about Jack's feat is that he is only a freshman. To have an 18-year-old player come in and play two ways, digesting plays on both offense and defense and having great success, is really something special. It shows you that Jack not only has amazing athletic ability, but also is a tough, intellingent player. A lot of times when players turn 18, they're not strong enough yet to really handle the college game. This doesn't seem to be the case with Jack, who is a well-built 6-1, 225 pounds. He also has outstanding speed, which he displayed on his high school's state championship team in track, where he ran in the 4x100 and 4x400 relay, and more recently on a 66-yard touchdown run against Arizona. Playing two ways is a rare thing. It's not something that you can really develop in practice, taking a player and splitting his time two ways. You might see it occasionally at Div. II or Div. III or some smaller schools, but what those players do is not nearly as complicated as what Jack is doing against the level of competition in Div. I football. It's one thing to score four touchdowns against New Mexico State, it's something entirely different when you do it against a pretty good defense like Arizona or Washington. The question, obviously, becomes, "Is he a better linebacker or a better running back?" Jack was a two-way player in high school, but played mostly as a linebacker and was recruited as one of the top players in the country at that position. My first evaluation of him, mainly from his games against Arizona (120 rushing yards, 1 TD) and Washington (59 rushing yards, 4 TDs), is that he's probably a better linebacker than a running back. But I've really enjoyed watching him play both positions this season, and I'll be very interested to see how he develops over the next few years.